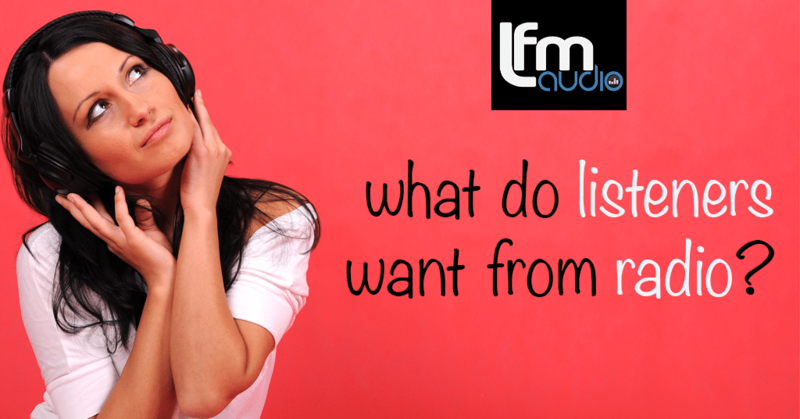 What do listeners want from radio and are you providing it? It’s very easy to forget your listener. Even experienced, long term broadcasters can begin to lose sight of who radio is for under all the pressures and obligations to advertisers, shareholders and sometimes even their own opinions and preferences. It’s so important to remember that the listener comes first, in all aspects of radio. To lose sight of that is to lose your appeal – and consequently listenership and revenue. So if you have lost focus or simply need a refresher, take a look at the following tips to keep the listeners needs in mind when making great radio. Be one of them. For all that people love to hear about celebrities and international events it eventually gets exhausting, it’s the average life that is relatable for most. This means that the slant of content should be directed at your everyday listener for best impact. Our listeners feel more at home if they can see themselves in what they watch and listen to. Keep that in mind when creating content. Be a mate. Listeners tune in because they feel a sense of companionship. An empty room or a lonely car drive can suddenly be filled with laughter and conversation simply by pressing a button. Harness this innate human need for human interaction by always speaking into the mike as if you were talking to your best friend. This will really put a personal edge to the broadcast and help your listener feel connected. Help the listener see what you are saying. Humans are very visual and emotional creatures, help them become part of the picture by being descriptive. If you are describing something, it is no longer a boring ‘blue sea’ – it is a ‘calm, aqua ocean’. and off course a great music that fits their taste! Together a winning combo of producers and presenters can create radio that resonates with the listener. Don’t ever forget who is out there, and that they are the ones who make your business successful. For Radio Branding that resonates – we at LFM Audio are your friends!